A collection of stories teaming Sherlock Holmes with popular figures from history and fiction. Moonstone Books is proud to present this original anthology featuring never-before-seen tales of the world's first consulting detective, Mr Sherlock Holmes, as he teams up with other investigators and notables of his time! 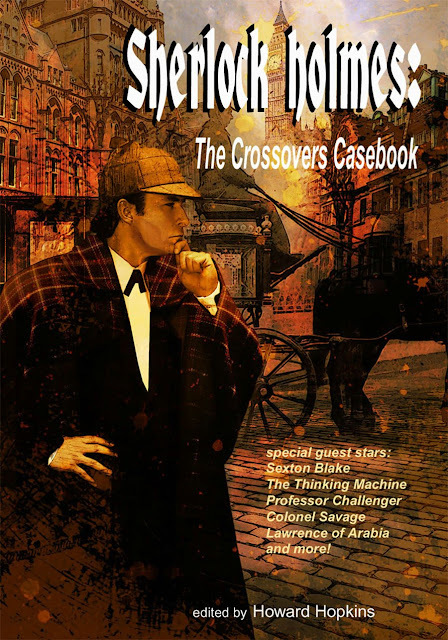 Holmes teams up with one of the most famous thieves of literature, Arsene Lupin! Lawrence of Arabi! Calamity Jane! Sexton Blake! Houdini! The Thinking Machine! Doc Savage's father, Colonel Savage! Featuring short stories from incredible authors including Barbara Hambly, Will Murray, Kevin Van Hook, Martin Powell, Matthew Baugh, Martin Gately, Don Roff, Win Scott Eckert, Chris Sequiera, and Joe Gentile, this collection showcases the secret sequel to the classic Holmes novel "The Sign of Four", as well as Sherlock and Conan Doyle's own "Lost World" Professor Challenger!